Three things I really like: being outside, hiking, and scrambling over rocks. Luckily, spending the day at Old Rag Mountain in Shenandoah Valley on Sunday was the perfect combination of all three. Plus it was the most glorious fall weather known to humanity. I did this hike way backin June 2010 and have been dying to do it again ever since. 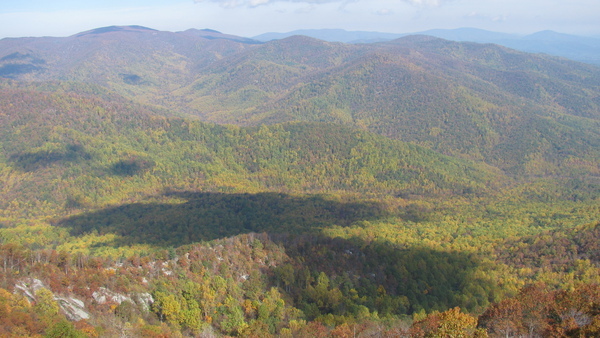 Fall is peak Old Rag season (accidental pun, I swear) because all of the beautiful foliage. 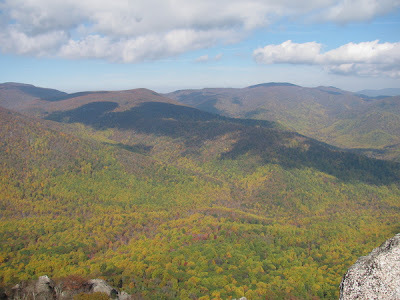 Who wouldn’t want to climb one of the highest mountains in Shenandoah Valley in October? Living in the city, the change of seasons can be more about the clothes I wear. I switch to pants and sweaters and am psyched to enjoy my lunchtime walks instead of sweat through them. But when I get out into the country I remember how much more exponentially beautiful fall can be when all you see is colorful trees for miles. We got up long before the crack of dawn on Sunday (4:50 am – kill me) to get to the trailhead by 8 to beat the crowds. The early wake-up was definitely worth it and I strongly recommend it. We arrived just before the bulk of the crowds hit the trail, so as we hiked there were definitely people around but it really wasn’t as bad as expected. 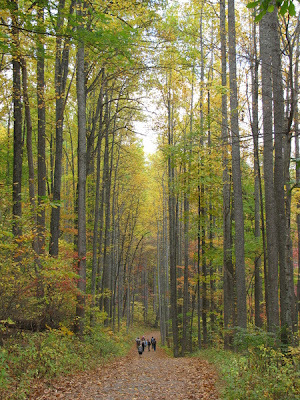 Our group was about 15, probably one of the largest on the trail. I led a pretty good pace up the mountain (waiting and water breaks are not my strong points). At the top we scrambled up one last boulder to find ourselves on top of the world. After a long lunch break we hiked our way down. Again, beautiful!